Music is a Beautiful Thing! 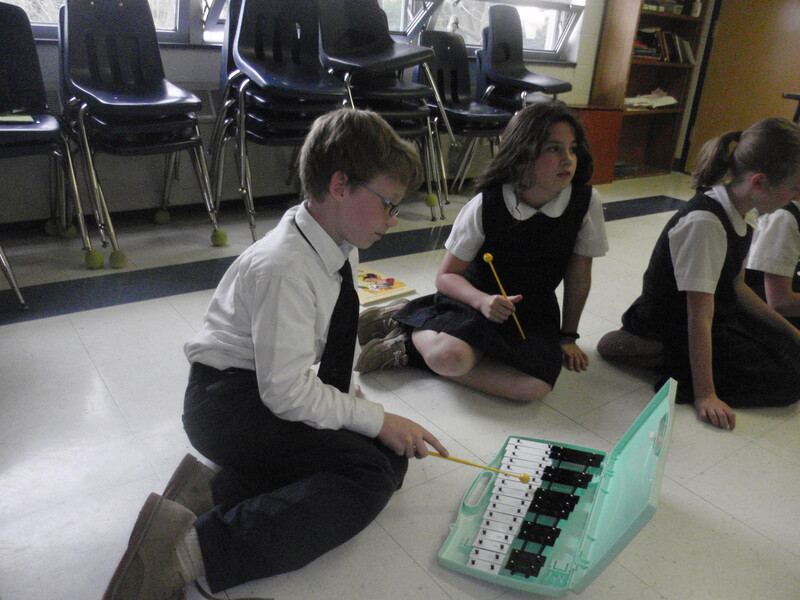 I had a wonderful surprise this afternoon when I walked into the 4th grade music class. 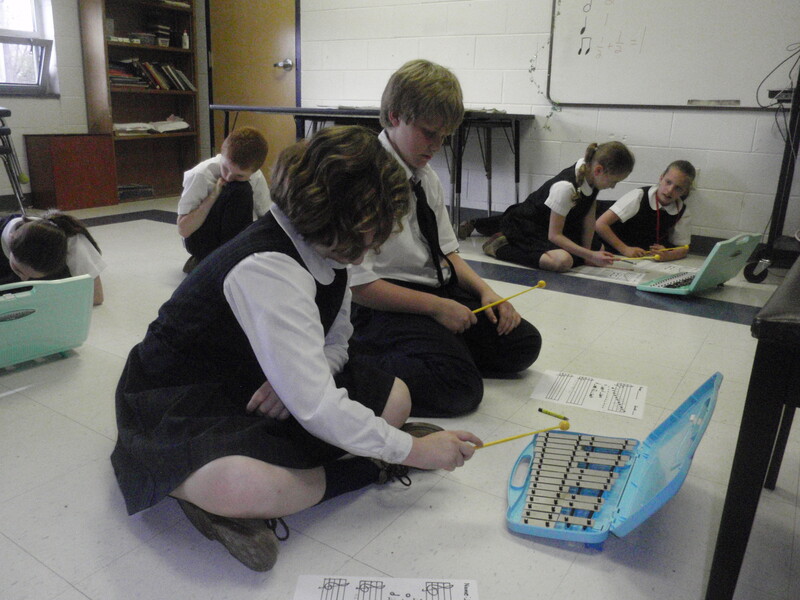 The students were using the new xylophones that Mrs. Wojes ordered and they were having a great time. I wish you could have heard the beautiful music they were making! 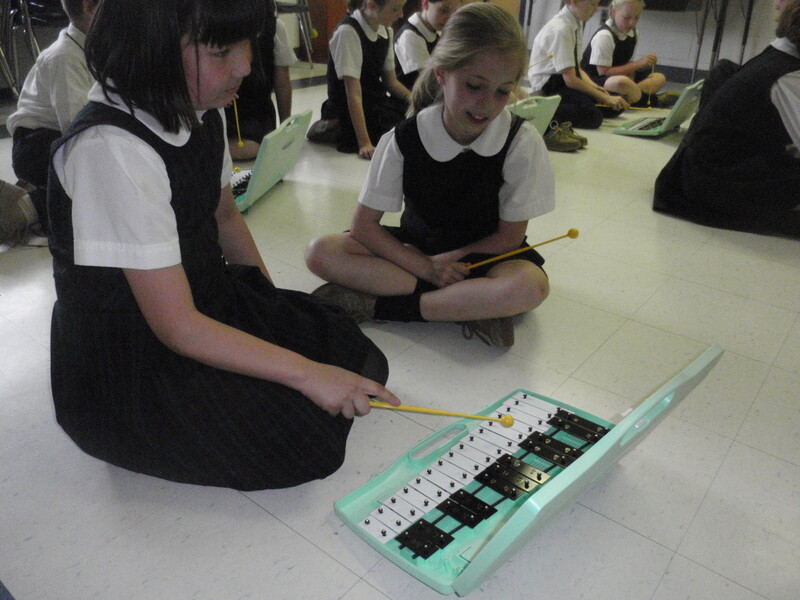 It is my hope that we can continue to add musical instruments to our music department inventory! Great job, 4th grade! Go Warriors! 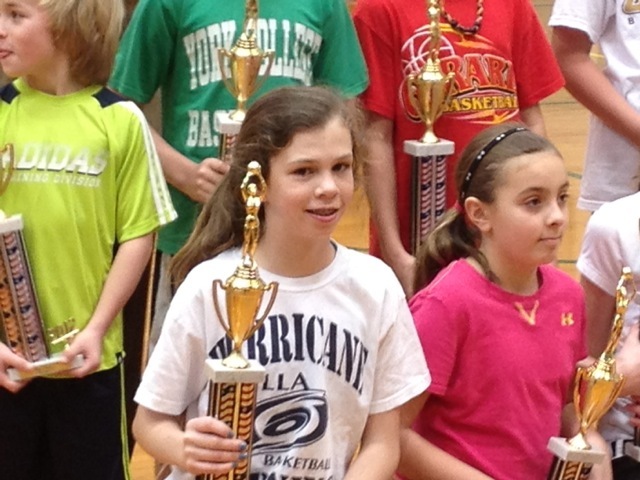 Congratulations to Abby Walheim for winning 1st Place in the Knights of Columbus Free Throw Tournament. 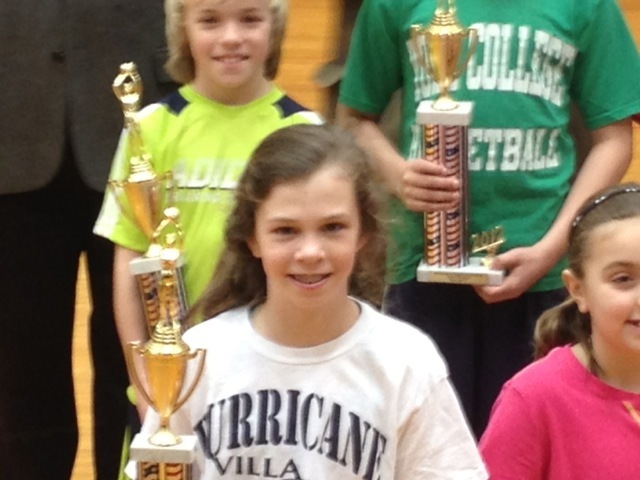 Abby traveled to Harrisburg, PA this past weekend to participate at the State level for age 10 girls. She made 22 out of 25 shots! She was almost perfect from the charity line! When I asked how she felt, she told me she was nervous but excited after she won. Way to go, Abby! How lucky are we here at St. Patrick School? We have beautiful flowering cherry blossom trees right outside of our school doors. 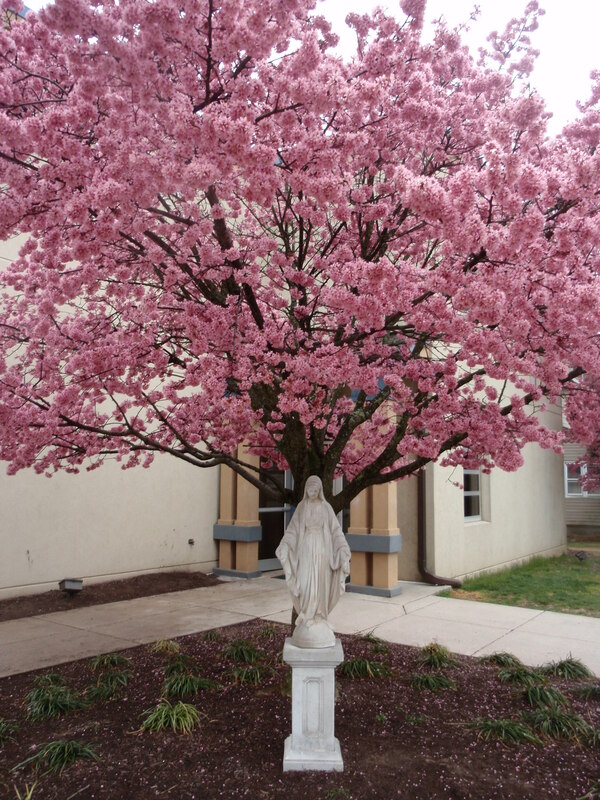 The beauty of the flowers and the statue of Mary remind us that we have so many things for which to be grateful -Hail Mary, Pray for Us! Go Warriors! 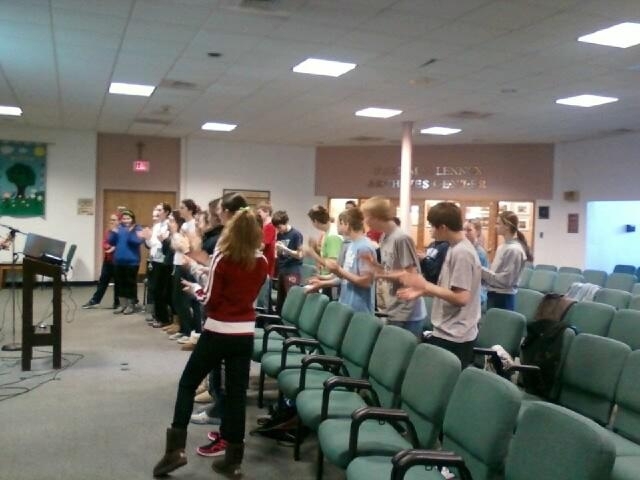 At the beginning of the school year, the 7th grade read Fever 1793. This book was about the Yellow Fever epidemic that broke out in the city of Philadelphia. Through discussion and investigation, the 7th graders found out that something similar occurred between the Frazer and Malvern area. 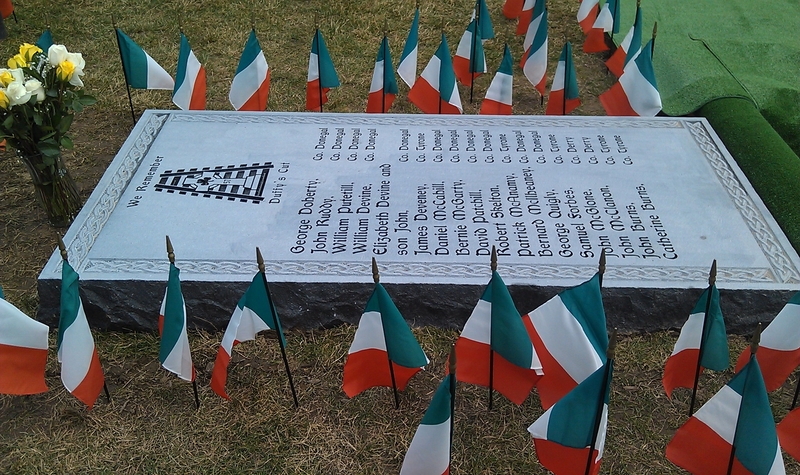 In the summer of 1832, 57 Irish laborers died suddenly while building the Philadelphia and Columbia Railroad. The cause of death was reportedly from cholera and this burial place became known as Duffy’s Cut. 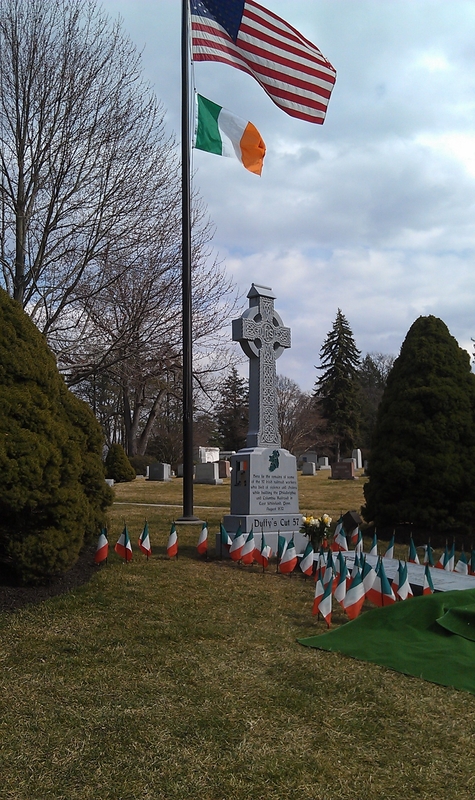 The Duffy’s Cut team excavated a wooded area in Chester County near the campus of Immaculata University for more than eight years looking for the remains of all 57 Irish immigrants who came to America to work. After extensive forensic examination, it was determined that a few of the remains showed that the workers were victims of violence and that only a handful died from cholera. Out of the 57 people who died, the remains of six bodies have been found. The rest of the bodies are buried in a mass grave under the Amtrak train tracks and cannot be exhumed. The goal of the Duffy’s Cut team was to give these workers a Christian burial. 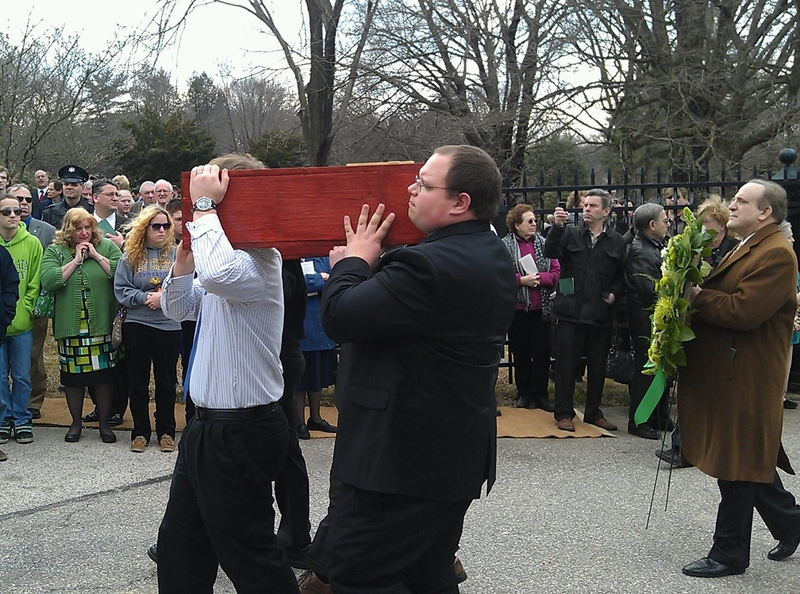 On Friday, March 9, 2012, the remains of five men and one woman were buried. 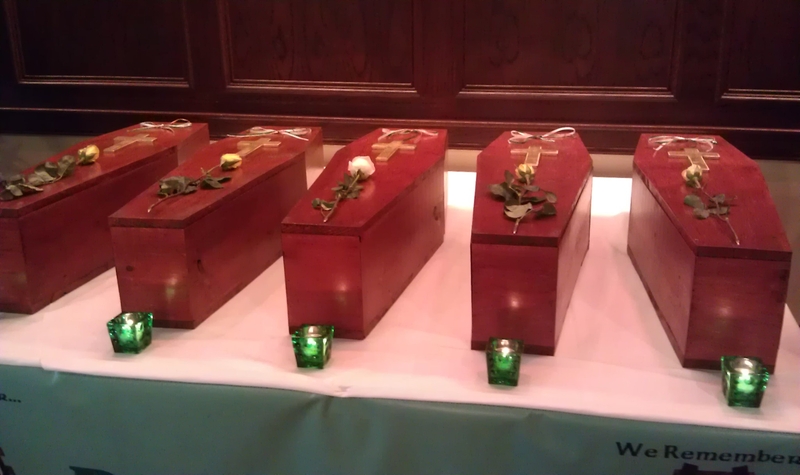 During the ceremony all those who lost their lives at Duffy’s Cut were honored. It was a great privilege for our 7th graders to be present at the burial ceremony. They were amazed at the amount of people who were present to honor these men and women. 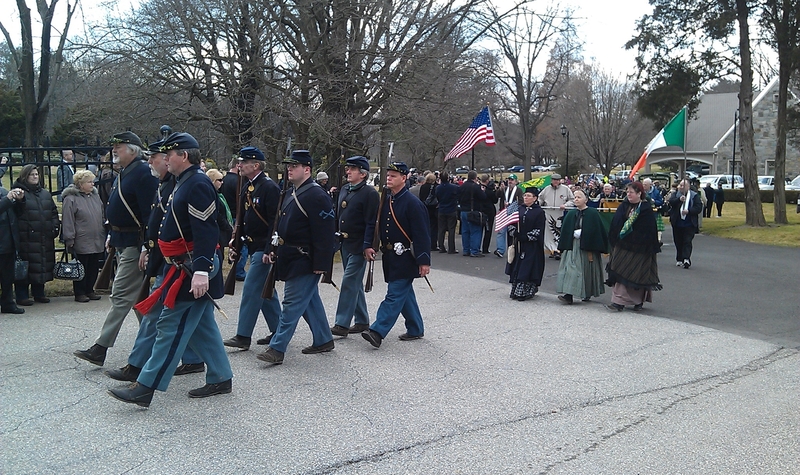 The 7th graders remarked about the handmade caskets, the dignitaries who were there, the bagpipers who played, but mostly about how good it felt for them to be there to honor people who had given their lives for the betterment of America way back in 1832. 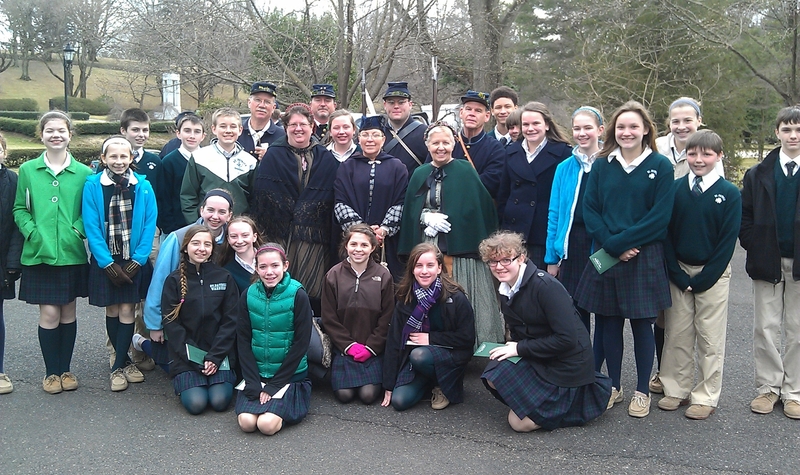 We are proud of our 7th graders for the wonderful way they represented St. Patrick School! Yesterday’s experience at the Malvern Retreat House was a life changing experience. I never valued the silence of prayer as much as I did sitting still by the grotto. My experience at the chapel was certainly one to remember. Our retreat leader helped me to look directly in the eyes of my faults and helped me to understand the things that I have done wrong and helped me to repent for them and offer them up to God. Yesterday’s retreat changed my outlook on how I should pray. It made me aware that God is always willing to listen to my prayers. Going to retreat yesterday really made me stop and think about how simple prayer is when we take the time out of our busy schedule and just converse with God. My favorite experience was when we went to the chapel to pray; it was so calming and peaceful. The day helped me realize the things I need to do to live as a disciple of Christ. My experience at the retreat made me feel closer to God because I know that I can talk to Him and also , if I take the time, listen and hear his response. After singing multiple songs I had the opportunity to kneel in front of the tabernacle with the whole grade and we all openly expressed our struggles and hardships. I felt so open to sing the songs and kneel in front of the tabernacle. Throughout our retreat, I could feel myself growing closer to not just God and my friends, but myself as well. I felt that I was actually getting to know myself better and better as the day progressed. 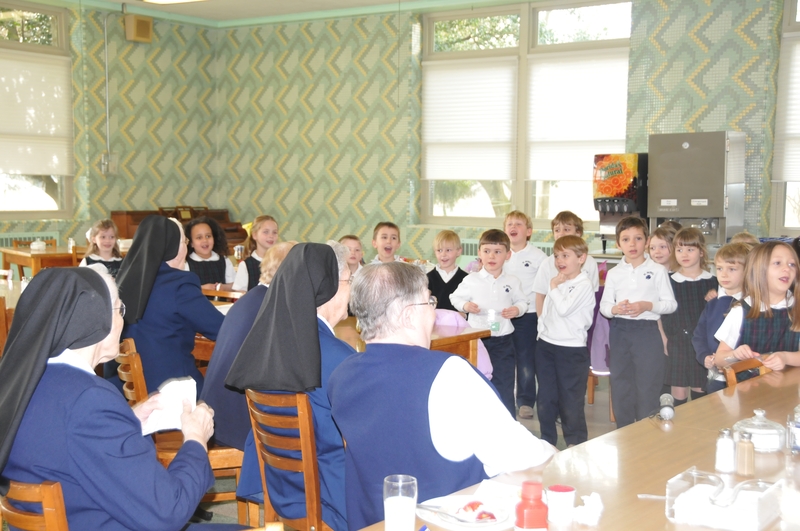 This week our Kindergarteners had a wonderful opportunity to visit Camilla Hall, home of the retired Immaculate Heart of Mary Sisters. 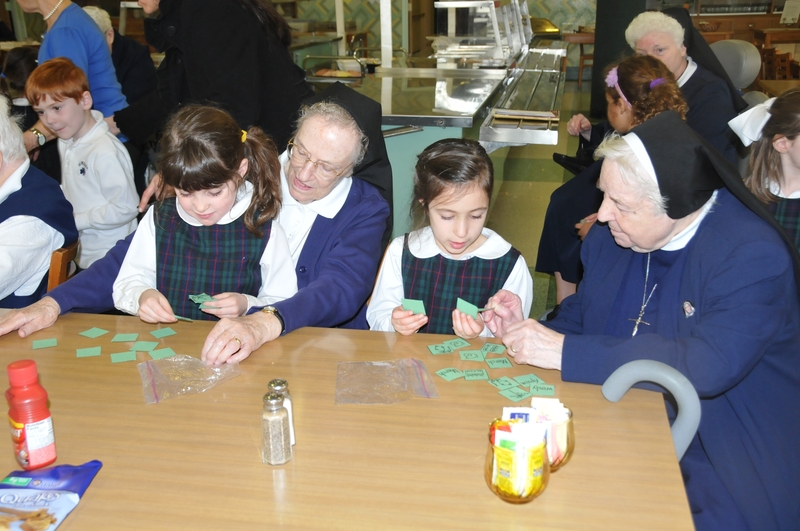 They had a great time and brought many smiles and laughs to the Sisters. David and Layne shared some of their memories. Layne shared this: “The Sisters were really nice. They were kind and we had fun.” David said: “We sang songs to the Sisters and they liked our voices. I know they liked our singing because they clapped. We played a matching game against the Sisters and the kids won!” Both Layne and David said they would like to go back to Camilla to see the Sisters.